Westown Hotel Ikeja, offers services reasonably value for money when you take into account the excellent facilities, security, cleanliness and friendly staff that matches standards you would find in 5 star western hotels. Westown Hotel is strategically located in Ikeja, Lagos, just about 15 minutes drive from Murtala Mohammed International Airport and 35 minutes from Victoria Island. Situated along Opebbi Road, Ikeja, Westown Hotel, offers tastefully decorated, elegant, stylish, spacious and comfortable rooms and suites – all come in different sizes and categories. Guests can dine in style at the hotel’s exquisite restaurant or indulge in pastries at the hotel’s patisserie. The restaurant is open for breakfast, lunch and dinner, serving both continental and Nigerian cuisine. Also available is the fitness gym where guests can keep fit. Guests can go for a dip in the pool or relax at the bar with friends while listening to live music. 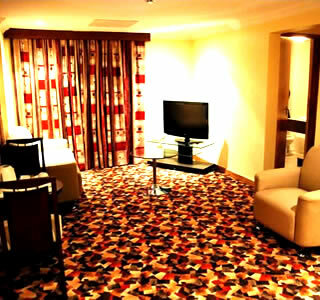 Standard Room is a contemporary room ideal for business and leisure travellers. The room features a double bed and a wall mounted plasma TV. Enjoy your stay in this room and work in comfort at the large desk with ergonomic chair. Guest can refresh in the bathroom with rain-drop shower and original Edwardian chrome and marble washstand. 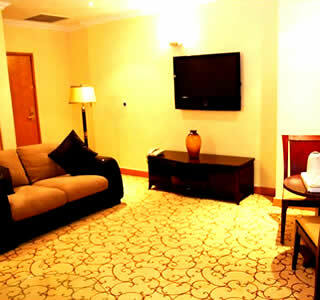 Other room facilities include air conditioning system, in-room telephone etc. Ideal for business and leisure travellers, Deluxe Room features modern hotel facilities that will make your stay as comfortable as possible. 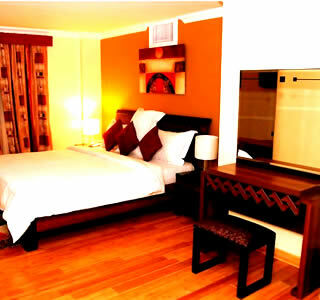 The room is spacious, tastefully furnished and equipped with high speed internet access, air conditioning system etc. Wrap up under the duvet and relax on the Queen size bed in this room. Work in comfort at the large desk with ergonomic chair or re-energise in the luxury bathroom with power shower and exclusive European inspired amenities. 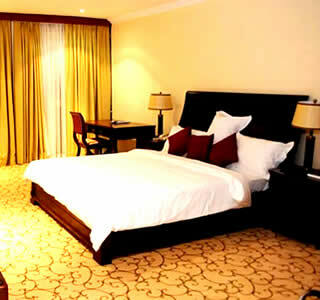 Executive Room features modern hotel facilities that will make your stay as comfortable as possible. The room is spacious, tastefully furnished and equipped with King size bed, high speed internet access, air conditioning system etc. Each of the rooms also has balcony access. Each of the Westown Suites has a living room with complimentary continental breakfast, afternoon tea and all day refreshments. Recline in the spacious bedroom or refresh in the modern bathroom with shower massage jets. Al the hotel suites feature Jacuzzi bathtub and connect staircase rooms. The suites also have visitors toilets if you choose to entertain your guests in the parlour. You can surf the web with high-speed internet or relax on the sofa to watch the plasma TV.